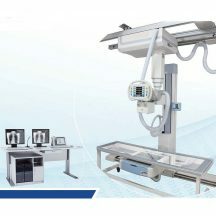 Detail Produk "BT-XR02 High Frequency X-ray Radiograph System"
It is installed with close-table graphical colorful LCD touch screen and wireless remote control exposure, which makes the operator easy to use. We incorporate the latest compact high-frequency and high-voltage X-ray generator, which ensure superior image quality, while the skin dose is low, to protect the patient better. Adopt the technology of kV and mAs numeral closed loop control, real-time control of the microprocessor, which ensures the accuracy and repeatability of the output dose. 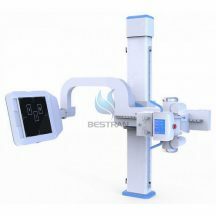 Be equipped with radiography parameter of multi-part, multi-posture, multi-body, adult -child physical characteristic, the operator can modify and save the parameter by himself, which makes the operation more conveniently. Leading domestic high power combined high frequency high voltage X-ray source and high frequency inverter power supply, which can reduce energy loss from outside HV generator and cable. 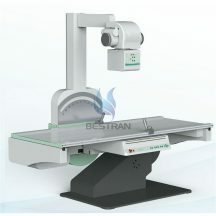 It makes good quality X-ray, beautiful appearance and convenience. Possess multiple automatic protection and fault clue function, which makes the operation safer and more reliable. 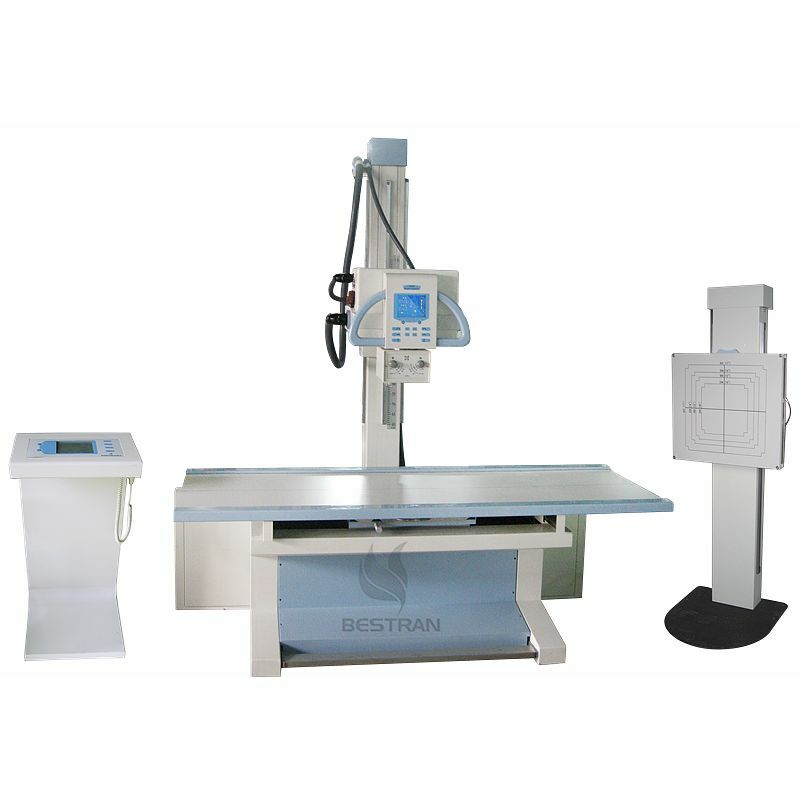 The radiography table can float in any direction, electromagnetic braking, position the patient more convenience and accuracy. X-ray generator component can move round the axis of X-ray generator, cross arm and Pillar stand , be convenient with side and slanting direction projection and radiography of patient on the stretcher. Be equipped with the chest stand, which is used in the radiography of the head, chest, belly, pelvic cavity, backbone and periphery. Control console of graphic program controlled LCD touch screen is optional, which can set the radiography parameter and exposure in another room.